I found my old recipe notebook today. My poor, tired notebook, bullied to the back of the bookshelf by the glamorous and flashy celebrity cookbooks! Carried to cooking classes, passed on to friends, this fifty-cent supermarket notebook was once my Epicurious.com. Stained sheets of paper with frayed edges and faded handwriting held tried and tested recipes that became my family's favorites. The Lasagne page is so filled with splatters that the blue ink simply disappeared into the now translucent red stains. 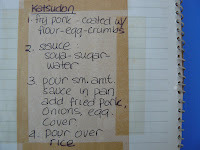 I remember writing down this recipe on a corner of a manila envelope as my Japanese colleague hurriedly dictated short codes for making Katsudon. This is my expanded recipe. (I used chicken breasts this time, but pork cutlets are ideal). 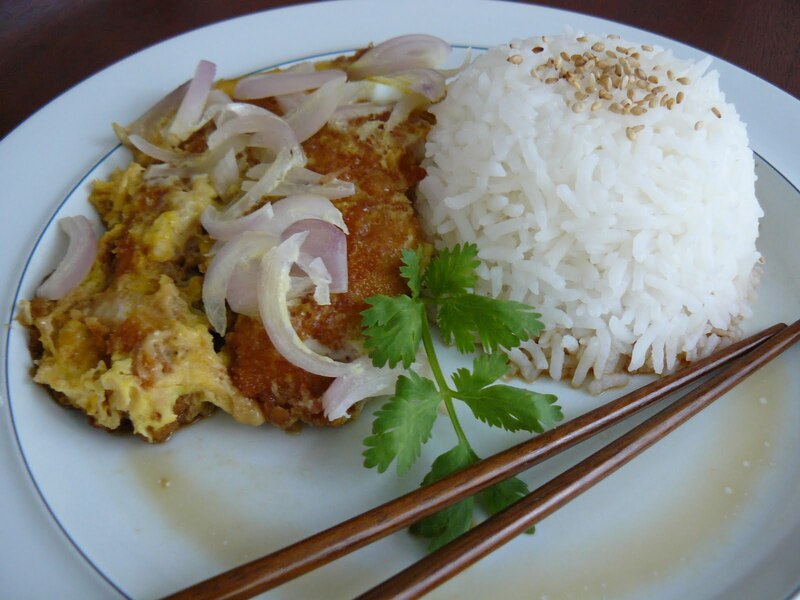 Marinate the pork cutlets in garlic and soy sauce for at least an hour. 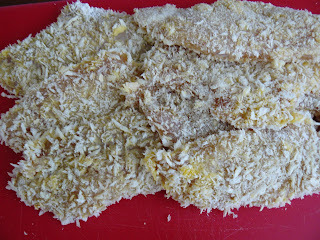 Pat dry the marinated pork, coat with flour, then dip in beaten egg and then the breadcrumbs. Deep fry until golden brown. In the meantime, mix together water, soy sauce, mirin and sugar to make the cooking sauce. 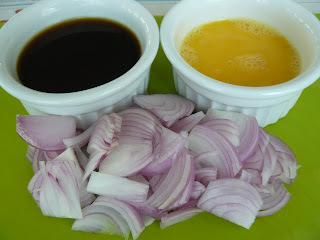 Set aside with the onions and beaten eggs. After frying, remove all of the oil from the pan. Over medium low heat, pour in a small amount of sauce and let it come to a gentle simmer. 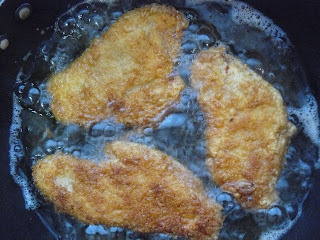 Layer the fried pork cutlets over the sauce. Sprinkle sliced onions evenly then pour in the beaten eggs, making sure to cover most of the pork and onions. Cover and cook on low heat until sauce has almost evaporated and eggs are set. I totally understand about the notebook. I have this binder with a bunch of recipes I reference all the time. The cutlet looks so good. Hi Joy! 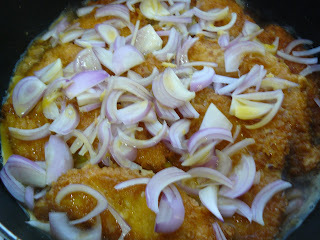 The cutlets are one of the boys' favorites. Try it!